Just finishing a 9-day vacation. Arriving at the airport I am in an unfamiliar car in unknown roads. The attendant asks me if I want to purchase a Travel Pass. It’s used for the roads I will travel on. It’s a toll card for the universal tax collection. I declined on the Travel Pass. Well I broke the law. No where to go but down this crooked road. I wonder how much this is going to cost me? I should have taken the “pass”. I became very familiar with the Google Maps navigation system. One thing I learned during this trip is that I just can’t rely on what others tell me, including Google! I must look up and engage my environment. During this trip we ended up on a on a one-way, 3-lane road. We were driving correctly, but we had a vehicle heading in our direction going the wrong way. Horns blare and praise God everyone is safe. The Word of God is a map. It navigates us through this world, gives us warnings, insight and direction on how to travel. The Word reminds me that I am a sojourner traveling through a world I do not belong in. Look around and take it in. Note the culture but don’t adhere to all its directives. Collisions waiting to happen are everywhere. I enjoy vacation, but I always like returning home. Maybe because its familiar. 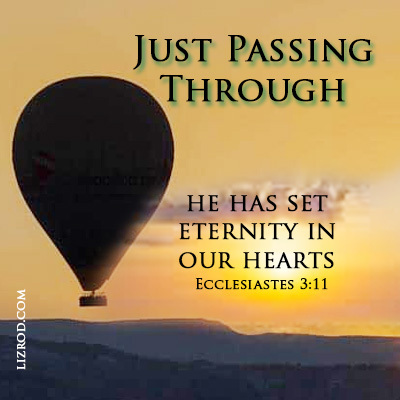 The Bible says that our hearts long for home, he has set eternity in our hearts (Ecclesiastes 3:11). We are just passing through. Don’t get used to this world because it is passing away. The never-ending changes appeal to our flesh. The lure is for us to become satisfied here. But we are not from this world (John 17:16). There is a Navigation System available and offered to us. Take it! The tolls in this life are hefty! The Navigator himself has paid it all. We can’t afford the penalty of our errors and mistakes. Look up! He has sent Help (Palm 121)! Welcome to LIFE. Would you like the Navigation System? It comes at no charge to you. You have a Personal Attendant and the price has been paid. Jesus Christ. He is the Way, the Truth and the Life. (John 14:6) He has been sent to rescue the lost. After nine days, my heart longs for home. Vacation was great, but I’m just passing through. My cozy worn-out couch and its familiar sounds and scents call to me. My soul too longs for eternity. Jesus draws me and speaks. It’s the presence of God I long for. While traveling, Lord, lead me to your refreshing Spirit. Help me know you are near. I desire to enjoy your familiar presence that brings me comfort, joy and an overwhelming peace. Welcome to Earth. Would you like the Navigator to show you the way? The cost has been settled. Yes please, I’ll take HIM! GOD DOESN’T MAKES SENSE | WHY OBEY?